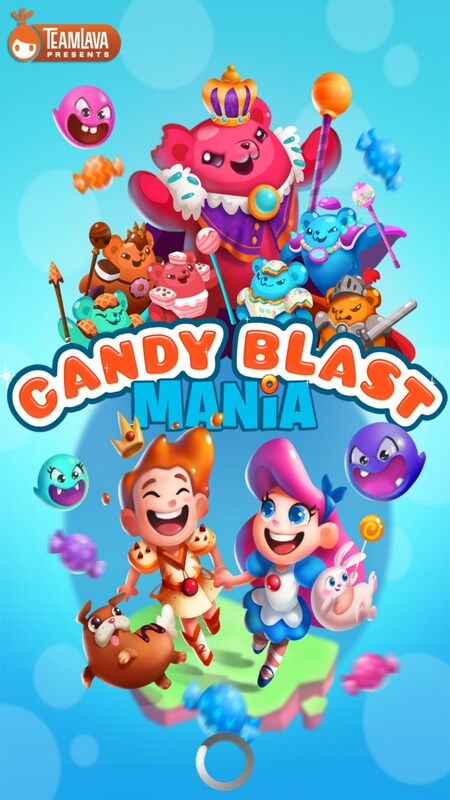 Candy Blast Mania – Games for Android 2018 – Free download. 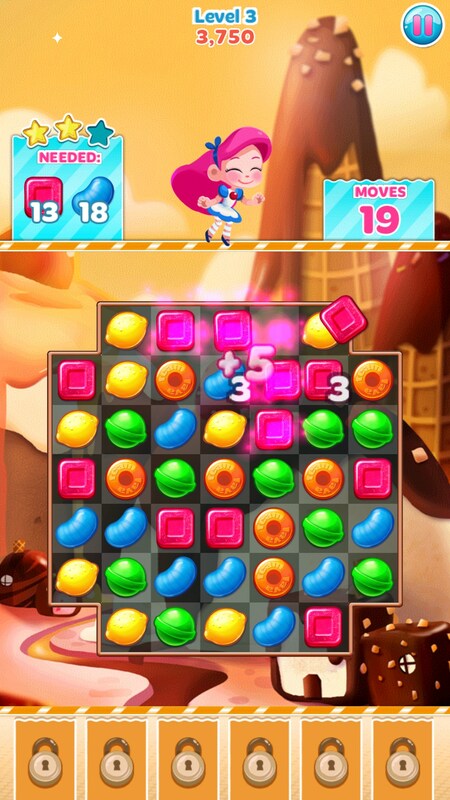 Candy Blast Mania – Cute gem matching but nothing more. Candy Blast Mania for Android is a deliciously (depending on where your tastes lie) sweet tile-matching game in which you… match tiles that resemble little bits of candy. The gameplay plays out like you might expect with some small adjustments. In order to beat each level you have to attain a certain amount of each tile to satisfy the level requirements in a certain amount of moves. 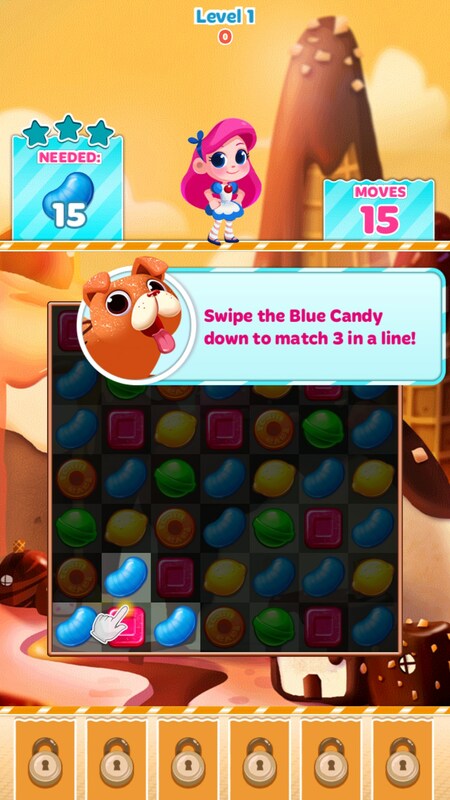 For example, you might need to collect 20 yellow and green bits which would have you prioritizing those matches over others; although by matching others in the area you can also “boost” candy tiles to give better bonuses when those are matched. Candy Blast stylised itself with an overbearing cuteness. The animals in the game that pop up after levels are done are covered in shimmer and shine that make their cheekbones look like balloons. Even the whole premise of the game, swapping candies to get candy, is a silly and playful idea. 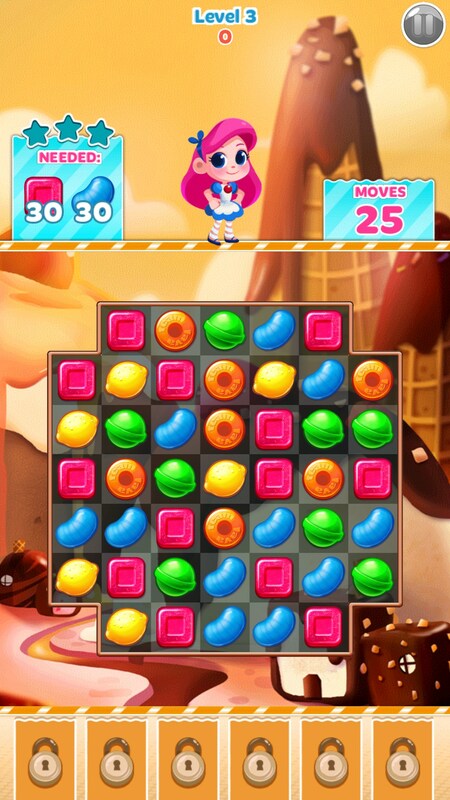 The candies look like fruit snacks as well. However, I’m of the mind to believe that the graphics in the game don’t really shift the gameplay, as I’ve seen the same sort of tile-matching gameplay in a lot of games. 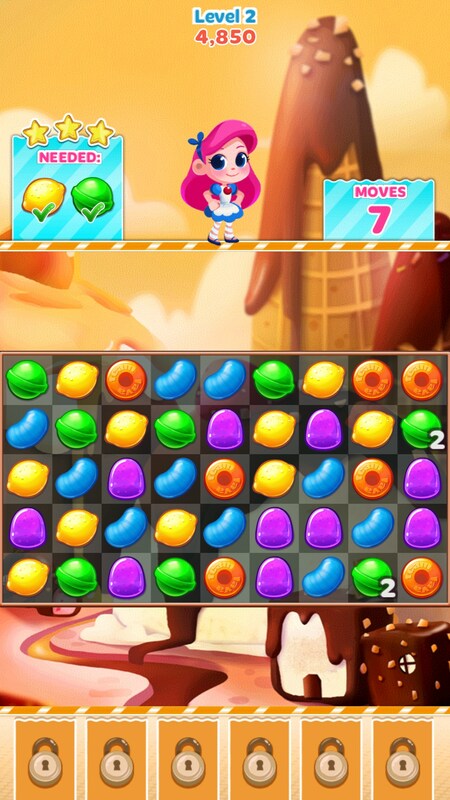 Most recently in a game I’m also reviewing at the same time, Puzzle Dragons. Sure these games look different and have different frameworks; this one being a cute game, and the other being more fantasy-oriented. But at the end of the day, they mostly play the same and you get the same things out of them. The same pleasured satisfaction of matching long rows of tiles at a time and being rewarded by the game. Essentially it's telling you “good-job” when you finish a level. Sure, I might recommend this game to a little girl, and the other game to a boy, but there's nothing unique enough about this game besides it’s style; which, as you might expect from the pictures, is completely over the top. 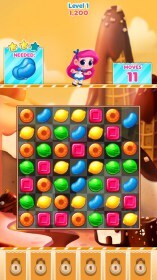 Candy Blast is another tile-matching game that has cute graphics and some small new gimmicks. Don’t expect anything more.